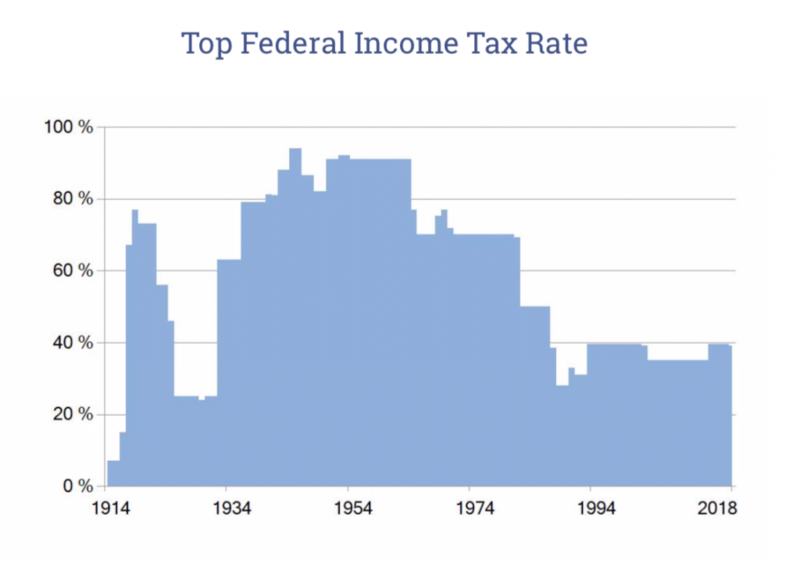 The chart1 traces the highest federal personal income tax rates from 1913 to today. The amount of income subject to these varying rates has also changed. In 1965-67, a rate of 70% applied to taxable incomes over $200,000, equal to approximately $1,322,376 in current dollars. 1 Source: Joseph A. Pechman, “Federal Tax Policy” Fifth Edition, and IRS form 1040.